At Garden Square, we offer a range of conventional and short term orthodontic solutions for adults and children to help you achieve a confident, beautiful more even smile. 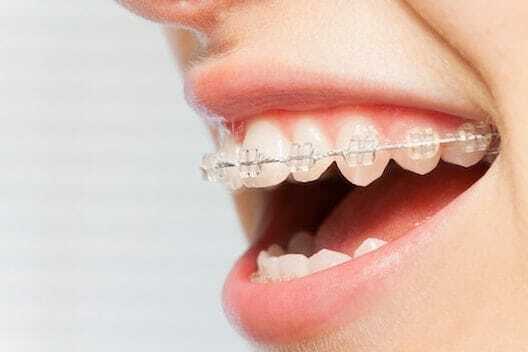 These include invisible, removable as well as fixed braces. All our braces have been proven safe and effective with extensive clinical research worldwide. Fast – Depending on the position of your teeth, most teeth are straightened in around four to eight months. Affordable – The orthodontic treatment modalities we use are both safe and efficient, reducing treatment time, hence cost, without compromising on long term dental health. Discreet – Aligners, wires and brackets are all aesthetic apart from a Fastbraces metal bracket option, which allows a more cost-effective solution. This is a 15-minute slot with the dentist so your teeth can be checked to see if the treatments we provide are suitable for you. If you are happy with what you see and hear, you will need a 1-hour Orthodontic consultation. This will include taking records of your teeth with digital photographs to assess which treatments would be suitable for you. Following this, you will receive a bespoke treatment plan detailing different brace options, estimated treatment timespans and fees. There are no hidden charges, and all quoted fees are inclusive of lab charges, appointments, emergency visits and 1st set of retainers. Interest-free and staged payments can help suit many budgets. If we feel you will require more complex treatment giving you a more successful result we will be happy to recommend a specialist Orthodontist to best fulfil your requirements. We will deduct the £150 consultation fee from the total treatment. Complimentary Home Whitening normally worth £395. The complimentary addition of white fillings to the edges of the shorter teeth and minor ameloplasty of longer teeth to even out the smile. First complimentary set of retainers worth £650, free within the first 12 months of treatment. All emergency appointments during active treatment free of charge. At the end of your treatment you will be sent your before and after photographs, showing you how great your new smile really is, so hopefully, you will recommend us! If we feel that a superior cosmetic result following orthodontic treatment can be achieved for darker or densely filled teeth, composite bonding, ultra-thin veneers and metal free aesthetic crowns may be recommended. This will all be discussed at the treatment planning stage, before treatment starts, so there are no surprises or hidden charges. Treatment can be staged over several months to suit your lifestyle and requirements. Orthodontic treatment is suitable for most people providing the teeth and gums are healthy. A 15-minute complimentary mini consult will quickly identify if teeth straightening will be the right option for you. Following this, a more detailed assessment will be arranged at a time that is convenient for you. When new braces, aligners or brackets are fitted, a little discomfort should be expected and mild pain relief maybe required. We will give you soft wax for placement over new brackets and advice on what to expect and how to deal with possible issues. How do I care for my teeth while I am having orthodontic treatment? Good oral hygiene and adequate plaque removal is very important during treatment. There is an increased risk of developing bleeding gums and tooth decay if teeth are not cleaned properly. We will show you how best to clean your teeth and recommend regular visits to the hygienist, whilst using a daily high Fluoride mouthwash to help strengthen the enamel. Following case assessment and treatment planning, success is based on both the dentist and patient working together to ensure regular visits are maintained and that you understand and follow instructions on wearing and caring for the new braces. After completion, we take retention using fixed wires or removable retainers seriously and will guarantee them for 1 year following treatment. More adult patients are choosing to have orthodontic treatment and we are achieving great results in all age groups. Following a short assessment we will be able to advise you if teeth straightening is a safe and suitable option for you.